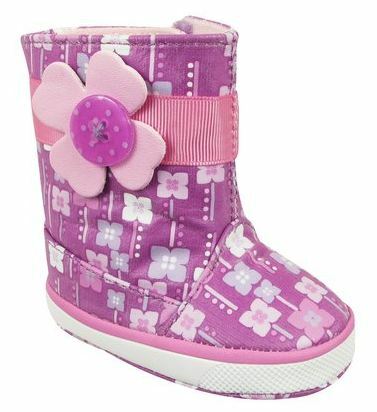 Target.com currently has these precious Baby Girl's Natural Steps Lil' Orchid Boots for only $9.98. That's 50% off the regular price of $20!If you use your Target Red Card you can save an additional 5% and you'll get FREE Shipping! If you're not paying with your Red Card you'll still get free shipping if you spend $50 or more. I think these boots are so cute and would look adorable with a pair of leggings or jeggings!